“Becoming a 501(c)(3) makes it possible for us to do fundraising for grass root programs and help develop a broader base of competitions and clinics across the United States. It is very localized now and this status will help us expand and provide this sport for more people,” noted Lynn Siedeman, Vice President of the USPEA. Any person who would like to become involved with the USPEA or for donation opportunities may visit http://www.USPEA.org or contact Hope Hand, President of the USPEA, email Wheeler966@aol.com or by phone: 610-356-6481. Para-Equestrian athletes not only travel throughout North America, but they also travel to competitions overseas. 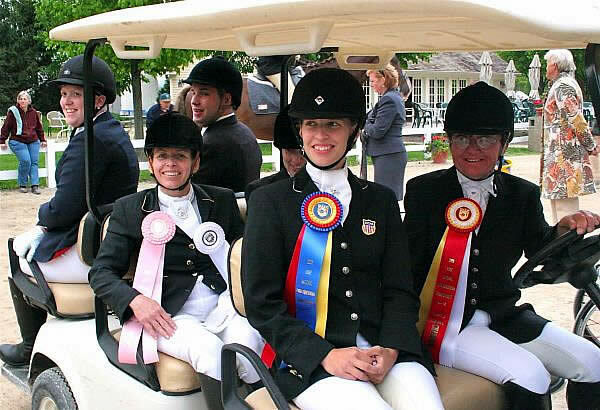 It is necessary for the United States Riders, whether able-bodied or not, to compete on an international stage. However, the cost of logistics to ship the horses, riders, coaches, and additional needs can be quite expensive. The USPEA was granted 501(c)(3) status because, like the other equestrian team foundations, it is an organization that fosters an international sport that needs the support of the public to continue its success nationally and internationally.